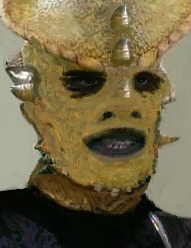 Ambassador Martek is the ambassador/diplomat for the Sindareen Nation in the Gateway Sector, representing the Sindareen in the territorial dispute in the Gateway Sector with the Cardassians. Martek is a former Tark in the Sindareen Military and gives off a stoic, slightly abbrassive demeanor. He is relatively quiet but firmly represents his government. He speaks his mind and drives for Sindareen dominance in the Gateway Sector.